MediaTekifikation. 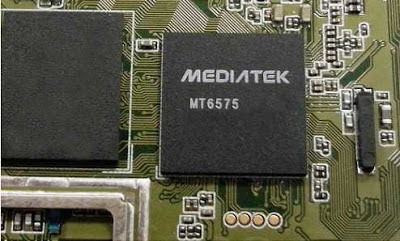 For those in the handset business who still haven't heard of MediaTek, it may soon be time to meet your maker. Many people I speak with in the wireless industry have still never heard of MTK. To me, that's like meeting a kid who has never heard of Lego's. Back in early 2008, in an internal report I wrote for Nokia management, I noted that a Chinese handset vendor named Tianyu had become a top-10 global brand. Even though I followed the industry closely, I had never heard of Tianyu before this. I decided to highlight the potential competitive threat of local vendors such as Tianyu who could appear out of nowhere in short order in vital growth markets. I received some immediate feedback about my observations from one manager based out of Nokia's Beijing office: "Forget Tianyu: the company to really keep an eye on is MediaTek." That was a great tip. Taiwan-based MediaTek may not be a direct competitor to smartphone vendors, but the company is an enabler of increased competition, lowering barriers to entry to the handset market. MediaTek offers complete chipset and software solutions allowing anybody with the desire to enter the handset business. It is MediaTek which enabled many of the "shanzhai" players to beat major vendors such as Nokia, Samsung, and Motorola to market with what appeared to be very similar-looking feature phones with risible brand names such as "Nokla" and "Sansung." About two years ago, MediaTek announced their intentions of entering the market for smartphone ARM-based chipset solutions. The impact has been enormous: last year more than 110 million Chinese smartphones were based on MTK chipset solutions. This is greater than Qualcomm's market share in China. MediaTek now offers solutions for both the higher-end of the smartphone market (quad-core) as continuing to enable very low-cost Android-based devices. MTK has found its place in the mobile value chain. There are times when you shouldn't just look sideways to find your emerging competition, but at the bottom of the stack. Is the "Chinafication" of the global handset industry inevitable? Back in the 1950s there were more than 60 American-based television manufacturers. By the 1990s, there were none. The stats for Europe are similar: most Western European countries had a national TV-set brand or two. Now few do. The hardware business went East. But the profitable content business stayed behind. So, will the mobile device torch soon be passed East as well? And for good? To me, there is no doubt that commoditization is the largest general trend in the handset business. The underlying software has taken center stage and service providers such as Google, Facebook, and wireless operators look at devices as little more than screens for their services. Most smartphones and more basic handsets are already made in China regardless of the label. (I'm not sure if any smartphones are assembled outside of China.) But one of the key recurring themes during the last few quarters of sales as well as at CES 2013 is the growing strength of Chinese brands. Brands few had heard of just a few years ago are now making headlines across the globe: ZTE, Huawei, Lenovo, TCL, Coolpad, Xiaomi, Tianyu (K-Touch), Haier. And it looks possible that Chinese vendors could take half of the top 10 spots among handset market leaders within the coming quarters taking total global volumes greater than 25%. About five years ago I was speaking to one Nokia executive about this subject. As he said at the time, "Chinese vendors make great copies... but they won't be making copies forever." What will the mobile hardware business look like in 10 years? I suspect the writing is already on the great wall. More printernet of things. Download and print your own Nokia Lumia 820 case. First a caveat: in a list of top trends I'm working on for 2013, my top trend concerns the incredible hype we'll be seeing around 3D printing. I've read how some analysts are predicting the death of the factory, and I'm sure those analysts have their agendas. But the truth is mass production has nothing to fear. However, when it comes to customization and one-offs, 3D printers offer incredible potential. This is exciting. Here's another example of the printernet of things: download a case for your Nokia 820.
but it will be the arts and crafts of the coming decades. Tongue in cheek of the week: Thinking bigger. Product managers must use all the utensils at their disposal to make their point. Fingerprint readers in next iPhone and Galaxy? 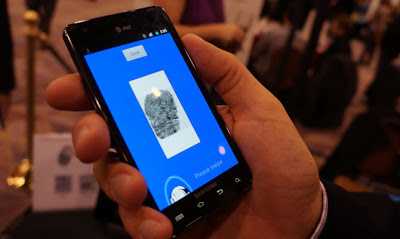 The signals point toward more biometrics in smartphones. A touch of class under the glass? Biometrics will go beyond geek. There's nothing new or amazing any longer about biometrics. Laptops have had fingerprint readers for years, and they are slowly appearing on some smartphones. In addition, software on phones is enabling voice-based security and facial recognition. But is Apple about to make one of their amazing discoveries by implementing the better mousetrap? One rumor of the day is that Apple will implement fingerprint reading in their soon-to-be-announced iPhone 5?S. This is backed up by Apple's purchase of a sensor component maker. When Apple buys a company, they do it for a good reason. The key here is that Apple engineers have supposedly been able to place the fingerprint reader below the device's single hard button. This would allow the phone to keep its minimalist design while offering a touch of WOW. And it's certainly easy to envision Apple's CEO standing on stage and wowing the audience with a single finger gesture. As its competitors have learned, Apple has the incredible ability to drive new technologies mainstream. If Apple does include a fingerprint sensor —perhaps combined with other biometric methods— in their future generation of phones, it could leave other vendors one feature behind. And if Apple can prove this is a legit security method, it would be an interesting enterprise selling point. Looking beyond Apple, last week at CES, Samsung demo'd a smartphone secured by a fingerprint scanner that was below the display. If implemented, this could lead to some improved natural user interfaces and great use cases for mobile finance. For other vendors, please take note that it may soon be time to put your finger on it. I just thought I would point that out. Fingerprint reader on the MOTO Atrix 4G. A touch too geeky? 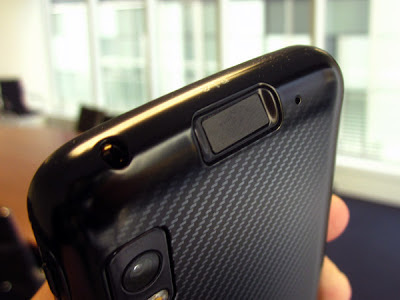 Fujitsu’s Tegra 3 fingerprint reader below the camera lense. joyn or go over the top? joyn's window of opportunity is closing fast, but operators still have a chance to get rich if they get it right. GSMA's Rich Communications Suite "joyn" appears to have some momentum now. But is it enough to push the service over the top? Joyn is looking to be the theory of everything for mobile services. It covers voice, messaging, video, chat, presence, location, phonebook, sync, file sharing, and more, is intended to work cross platform, and runs atop operators' IMS networks allowing for efficient use of existing investments. But joyn is coming late to a crowded rich communications party. The market is filled with successful free and air-interface agnostic over-the-top services such as Skype, FaceTime, Facebook, Google Talk, WhatsApp, Kik, and Viber. And now W3C's WebRTC (Real Time Communication) API which enables a similar suite of rich communications directly within browsers is being supported by Mozilla, Google, Opera, among others. To be clear and fair, joyn, OTT services, and WebRTC are not necessarily mutually exclusive, and can in fact be complementary. Mobile World Congress 2013 is next month and the joyn-branded Rich Communications Suite of services will be one of the key themes. We can expect to see GSMA touting its RCSe architecture by listing the growing number of operators across the globe who have at least some plans to support joyn. At best, joyn will experience a bumpy ride. Historically operators have a mixed track record of rolling out their own content services (this is especially the case in an all IP-environment). Some services have been mega hits —SMS and ringtones come to mind here— others, such as operator content portals, have tended to have little lasting impact on consumers. While joyn will enjoy some time in the spotlight at MWC 2013, attentive analysts and bloggers will be looking for the vacuums: joyn's success could suffer from significant interest gaps as a number of key operators have shown ambivalence or complete apathy towards the service. In addition, the lack of native platform support could create significant provisioning nightmares for operators. Solid handset integration will be one requirement for wide adoption. Operators do have a real opportunity with joyn. The industry has been talking about embedding rich services deep into handsets for more than half a decade. But talk is cheap. Joyn will need wide adoption and flawless implementation including clear and fair pricing to squeeze it through the closing window of opportunity. Going "lumpy." Another cool demo from Tactus. Buttons appear from nowhere my dear. Thanks to HM for sharing this link. Here is some more WOW potential for the handset vendor who gets this right. Can you have your QWERTY and eat it too? Here is what Tactus Technology has been talking about for several years now. Production begins late 2013, early 2014 according to the interview below. Samsung bends the rules. Flexible screen technology demos via Samsung CES 2013. The earth is not flat, do not forget that. Black rectangular screen, black rectangular screen, black rectangular screen, black rectangular screen, black rectangular screen, cool foldable big-screen device you can spread out, black rectangular screen, black rectangular screen, black rectangular screen, bla... whao, what was that? Was that something different in the world's most boring market filled with look-alike products? Could it be? Could things be about to change? I would have more hope and be less cynical had I not seen similar presentations year after year. But these things do take time. Here's some hope from the display component guys at Samsung. Device makers looking for some WOW, higher margins, and lines out the door: get on your marks, get set, bend. Thanks to MB for the links. Is that an Apple I smell in your pocket? Move over brand names, brand logos, brand colors, brand slogans, and brand theme music. Here come brand scents. Nissan will introduce an official brand smell. 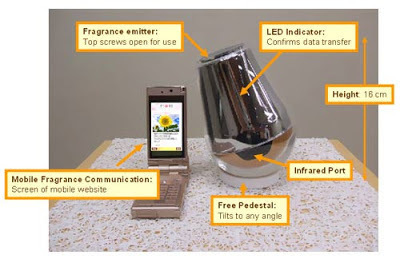 This might not be directly mobile related, but thinking someday we might be holding a "smell-e-phones" in our hands or watching smell-e-vision, it might be time for your company to start working on the official company odor. For brand building, here's something pretty sweet: an official brand fragrance. Nissan will be introducing their official scent at an upcoming auto show, and the same scent will be used consistently across showrooms and all marketing venues. So, does your company have its official brand scent yet? You might want to get to work before all the good smells are taken. Nissan executive discusses appleaing to the senses. Microsoft's IllumiRoom project. More super cool stuff from Microsoft we'll probably never see. Good times. More just think about it. Rejection has never been easier. Here's a touch of wow in a rather boring marketplace: a cool working brain-computer interface for a smartphone which enabled the user to just think about rejecting a call. It will be interesting to see how far BCI will go in the coming years. MORE "Just think about it!" MORE "Just look at it this way!" Haier shows TV with eye-put, brain-computer interface! Here is another signal in support of eye-put and BCI. To be honest, this has been shown before. But this acts as a good reminder for device makers to be on top of new UI shifts. At Haier's CES 2013 booth, their "TV of the future" shows the possibilities of eye movements and thought for input. Kidlets. 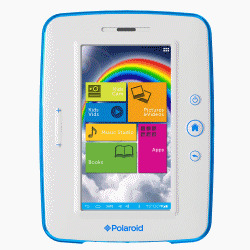 Polaroid's $150 Android tablet for kids pushes commoditization to new levels. Tablets as kids toys for $150? Yup. Let's call them kidlets. 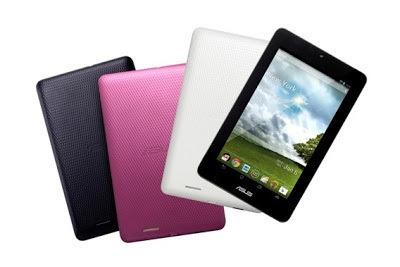 Tablet commoditization is reaching new heights. Here is a child's tablet from Polaroid Corporation (which really has nothing to do with the long-bankrupt instant camera company). This tablet runs Android 4, has a seven-inch screen, customized apps for kids including a Nook eReader app, and appears to be a pretty tough device. The inclusion of an eReading app could lead to some interesting content-based business models. This isn't the first kids tablet. In fact, Toys R Us has been selling kids tablet computers for several seasons now. So, is this a sign that the tablet market is one to get into? Or perhaps one to get out of? Canopy Sensus. Making the case for the back of the case. But whatever happened to LucidTouch from Microsoft & Mitsubishi? Could this change user interactions going forward? And backward? From what I can see, there's not too much exciting coming out of CES 2013, yet. For the most part, what's happening in Vegas can stay there for now. Indeed, one of the more interesting products to be announced is an iPhone case, the Canopy Sensus. Sensus enables the back of smartphones to be used for touch input. It's an interesting approach. But not a new idea. Back in 2007 Mitsubishi together with Microsoft introduced the "LucidTouch" input system. LucidTouch (please see the second video below) was an interesting approach to making touch a more natural user interface. Why block valuable screen real estate with multiple fingers when the back of devices go completely unused? And since then, other companies patented similar back of device uses. None have come to market. It's interesting to note that Mitsubishi made one of the first true multi-touch products, the DiamondTouch, which was being shown years before the iPhone. Companies such as Mitsubishi and Microsoft are great at showing off lab-based innovations. But it's time for some real-world excitement. Hopefully for them, ideas such as LucidTouch can help them with a comeback. LucidTouch from 2007 via Mitsubishi Electric Research Laboratories (MERL) & Microsoft. Tobii or not Tobii? Will eye-tracking soon go mainstream as a UI element? Here we see another example of "eye-put." Is the eye phone trend for real? Eye-tracking techniques could certainly solve several real-world usability flaws on PC and smartphone platforms and lead to advanced natural-user interfaces. In mobile devices, one of the more annoying real-world UI issues is that of screens jumping into dark battery-saver mode while you're actively reading an article. Some device vendors are trying to address the issue. Samsung's "SmartStay" feature in the Galaxy S2, for example, uses the phone's front-facing camera to detect when the user's eyes are looking at or away from the display and adjusts the screen's lighting status accordingly. SmartStay is a nice thought, but it's not the thought that counts, it's the execution. User reviews of SmartStay have been mixed. Being pretty good usually isn't a strategic goal. Tobii, a Swedish company which develops eye-tracking solutions, has introduced an eye-tracking accessory called "Rex" for Windows 8 machines. In essence, it enables the eyeball's gaze to act as a computer mouse. There's some interesting potential uses for eye-tracking. Market researchers, for example, realize that gazes can be worth a thousand words. The use of eye-tracking input could cut across phones, computers, televisions, cars. It could be time for platform vendors to be more forward looking and support looking forward.